Try ezPaycheck payroll software for free with no obligation and no credit card needed. And no internet connection is needed to run this paycheck software. Note: IRS will release new 2019 Form 941 in Feb, Form W2 & W3 in Nov, Form 940 in Dec. ezPaycheck new version will be released when the new forms are available. If the .net framework is disabled on your computer or is not installed, you may see such message ".net framework version x.x is required." You can enable .net framework or install .net framework 3.5 from Microsoft site to solve this issue. This software can run on both 32-bit or 64-bit computer. This software is compatible with Windows 10. 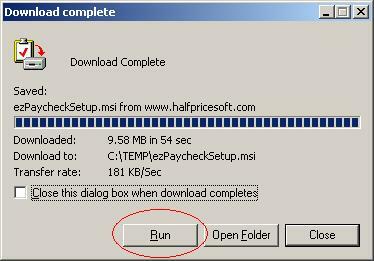 Step 1: Click download link and save update package to your local machine. If your machine has higher security settings, you may need to save this installation package to the local machine first and start the installation process from your local machine. Step 4: Follow the instructions on the screen to finish installation. 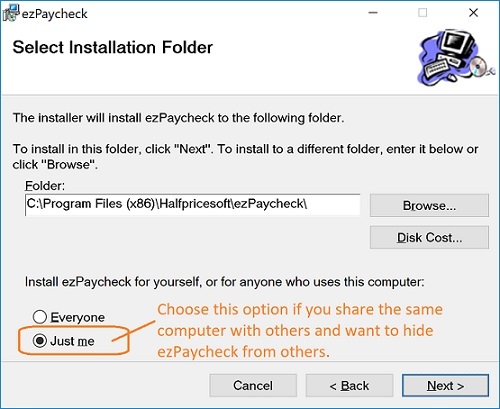 A shortcut for ezPaycheck software will be created on your desktop. 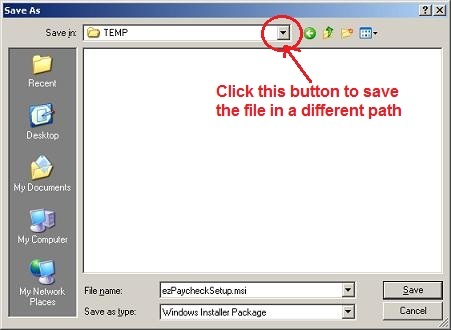 Step 5: Run ezPaycheck application. 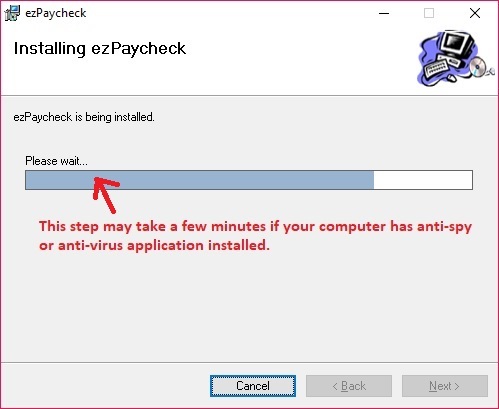 If you are a new customer, please follow the quick start guide to set up ezPaycheck step by step.